Since Creative Loafing's 2014 Pride issue, the LGBT community has experienced some big wins, both statewide and nationally, in the fight for marriage equality. The U.S. District Court's ruling in the bizarrely titled General Synod of the United Church of Christ v. Cooper case in October 2014 and the June 2015 decision by the U.S. Supreme Court to recognize gay marriage nationwide was cause for celebration among the LGBT community, but advocates are quick to point out that the struggle still continues for many in the state and around the country. "It's not, 'What's next?' It's, 'What's continued?' That's something that I think everyone should understand," said Jason Boone, co-chair of the Human Rights Campaign North Carolina Gala and founder of Stonewall Sports Charlotte, an LGBT intramural sports league. "Yes, that was a huge win for our community, but there are so many continued battles, so I've actually posed that question to several people, 'Why do you ask what's next?' It's not like marriage equality is the only thing we've been focused on. There's so much more out there." In the lead up to Charlotte Pride Week, Creative Loafing met with Boone and other Charlotte LGBT advocates who work every day to accomplish that "so much more": Matt Hirschy, director of advancement with Equality NC; members of Campus Pride, a Charlotte-based national nonprofit advocating for more LGBT-friendly colleges and universities; and Crystal Richardson, attorney and advocate involved in multiple LGBT organizations. Below, these people discuss what lies ahead for Charlotte's LGBT community, from Charlotte Pride Festival and Parade 2015 in Uptown on Aug. 15 and 16, to the years beyond that. The following excerpts are from separate discussions with each of the groups or people listed above. "I feel justified that we made the right decision to stay in Charlotte because of all the good people who are doing amazing work, all the organizations that are here and that are putting their heart into this parade and into Charlotte Pride." "Honestly, I see a divided community. Being in so many LGBT organizations, I see a lot of the same people, we're in a lot of the same spaces, and I know that we're not really hitting the broader areas of Charlotte. I do a lot of things that are non-LGBT and have a lot of friends in different spaces and you don't really see LGBT voices uplifted in that space." "I had people tell me, 'Guess you're out of a job' (after the marriage equality laws passed). I always think of Martin Luther King's quote, 'An injustice anywhere is an injustice everywhere.' We still have folks who can be fired from their job. Especially transgender folks who are becoming more comfortable coming out and transitioning at work, and I know so many stories of them being treated poorly and feeling uncomfortable to where they leave their jobs. People are turned down for housing or public accommodations. (LGBT people) pay taxes here. We go to school. We work here. We're all just human beings trying to live. Until we have a lived equality in that aspect, there's so much work to be done." "I didn't realize how much I hide who I am. In certain spaces I can be LGBTQ but I cant be black. In certain spaces where I can be black I can't be too gay, or I can't be too feminine or too soft. You do that for so long it conditions you until you realize, 'Oh, I'm not even being myself.' It took me time to realize that I was doing that." "There's a probably a lot of Creative Loafing readers who think that marriage is the end-all, be-all and it is a big step in the right direction but there's a long way to go. The lack of legal protections here for LGBT folks, meaning you can be fired for being gay, you can be evicted for being trans, you can be harassed and you can get bludgeoned and there's no hate crime legislation to protect you in North Carolina. But that being said, we are home to over 20,000 Bank of America employees and all of them are protected." "One of the issues that I think we're going to see in the next few years is LGBT businesses not getting the support of LGBT folks. Take a look at Petra's (Piano Bar & Cabaret). They're no longer a gay bar, they're a community bar because, in Plaza Midwood, nobody cares if you're gay, straight, trans; it doesn't matter, everybody goes there. On one hand, that's amazing. (The Bar at) 316, Cathode (Azure Club), L4 (Lounge), they do bill themselves as LGBT, but they're a struggling subset in our community." "Incarceration, as well. Sometimes, trans people going into a prison or a jail are stripped of everything and their hormones are taken away too. I don't ever hear anybody talking about that. That's an issue as well." "It's a way for me to celebrate the fact that I'm comfortable with who I am, that my family is comfortable with who I am, and even if that wasn't the case, there's a place for me to do that, and it starts with Pride." "I think it's really important to be able to look around a room and see yourself. It's so empowering to know there are others like you and that certain people aren't judging you for being a part of the LGBT community. All individuals should be able to be who they are. That weekend is our weekend to kind of enjoy." "I think the Pride festival and the parade are opportunities (for Campus Pride) to say, 'You know what, we're here.' Just like Bank of America, just like Wells Fargo, we chose Charlotte as our home. I think it's very important to get across that we have this national LGBTQ youth organization that does work with all the area colleges, does work in North Carolina, South Carolina and across the South." 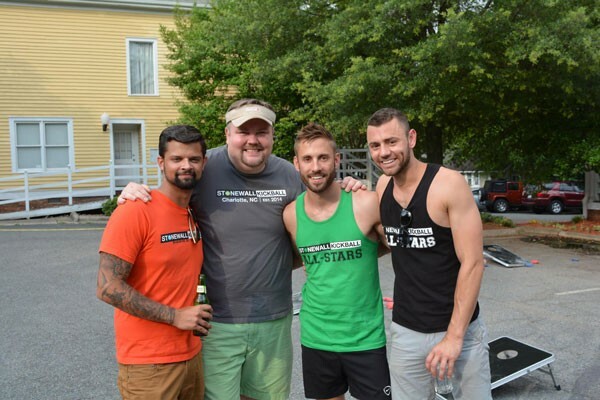 In fall 2014, Jason Boone (grey shirt, pictured with founders of other North Carolina leagues) founded Stonewall Sports Charlotte, an LGBTQ kickball league for people in the greater Charlotte area. By the spring 2015 season, the league had doubled from 120 participants to 240, and Boone is expecting 360 this fall. This fall will also mark the expansion of Stonewall Sports Charlotte to include volleyball, dodgeball and bowling. "It shouldn't matter who you are, you should be able to play sports and feel comfortable doing it," Boone said. "We should also constantly be giving back to our community." Stonewall Charlotte has done just that, donating $5,000 to LGBT youth center Time Out Youth following its first kickball season and another $13,000 following the spring season. Boone said on the first kickball night a lesbian approached him and began telling him a story that would have him in tears when she finished. "She was planning to drive almost an hour every week to get here because she needed to be a part of something, and where she lived she couldn't be a part of anything," he said. 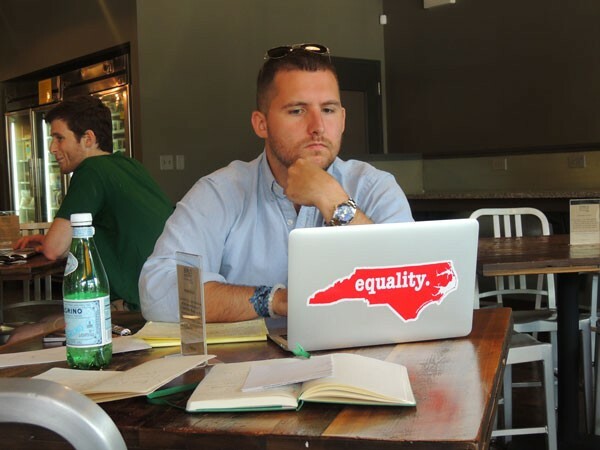 After serving as director of advancement for statewide LGBT advocacy group Equality NC in Greensboro for over a year, Matt Hirschy moved back to his hometown of Charlotte at the end of June. He said he's been amazed at how much the culture has changed in the city since he moved away. "I was raised privileged in South Charlotte and grew up that way. I can remember very close friends with Confederate flags on the back of their trucks, which at the time was totally normal, but as you start to self-realize and come to terms with who you are and how you want to live your life; and that becomes an open and affirming way to your self identity, it does change your perspective." Hirschy plans to continue his Equality NC work in Charlotte, working to push for a non-discrimination bill across the state that would add sexuality and gender identity to factors like race and gender that are already protected in the workplace. He also hopes to spotlight intersectionality and trans rights issues in the community. 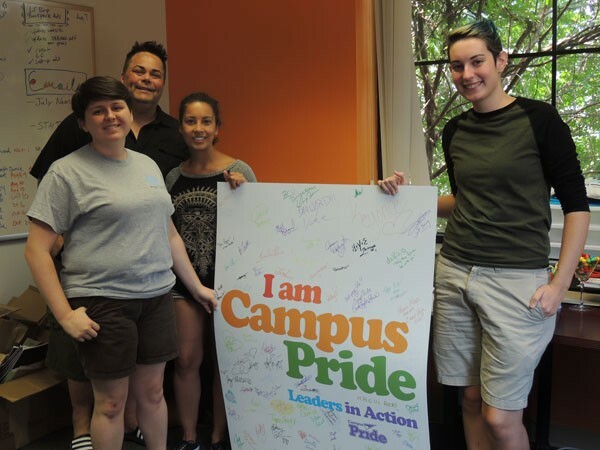 Although it's an issue Campus Pride has advocated for for nearly 10 years, the organization recently signed a new petition to add optional questions onto college applications that let a prospective student identify as LGBTQ. Shane Windmeyer, co-founder of Campus Pride, said the adjustment to the Common Application used by many colleges would help keep schools accountable not only for discrimination in recruiting but also for the existing LGBTQ populace attending the school. "Young people today should have the choice 0x000Ato share about their identity if they're living openly, so the college can be held accountable and responsible for their academic success," Windmeyer said. "We know in high school, for young people going into college, that LGBTQ people have higher rates of depression, suicide, substance abuse; a lot of health factors that are at risk. If we knew that about any other population of student, we would be concerned about them as they enter college to make sure they have the resources and the academic success that other students do." 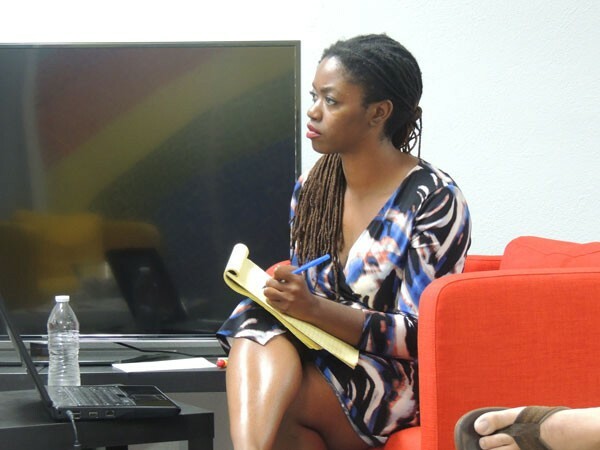 Crystal Richardson says that, until recently, she considered her entrance into a life of activism as coming during the passing of Amendment One in North Carolina in 2011, but has recently come to terms with the fact she has been an activist-at-heart since doing community work such as volunteering at Urban Ministry Center as a child in Charlotte. It was the Amendment One issue, however, that got Richardson to begin actively seeking out issues within the LGBT community to stand and fight for. "After Amendment One, I went to the Charlotte School of Law and there was a symposium and I remember a light bulb went off," Richardson said. "I had just graduated and didn't quite know what type of law I wanted to practice, so I was all ears with eyes wide open. There was a panel of women speaking about family life, diversity and justice issues and it was just like (Richardson snaps her finger), 'That's what I want to do.' It just connected. 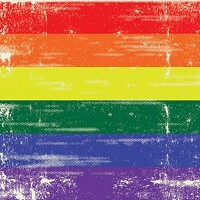 After that day I just worked on finding opportunities to be an activist within the LGBT community."